At Caledon Ski Club you'll experience a great sense of family where staff and Members - no request is too small, no task is too large - we make every effort to accommodate! We work together to build memories that your family will cherish for generations to come. With fresh air, exercise and camaraderie, we give you reason to love winter! We have the terrain, the facilities and the instruction to suit every member of your family, whether you are sliding the slopes together, or each doing your own thing. 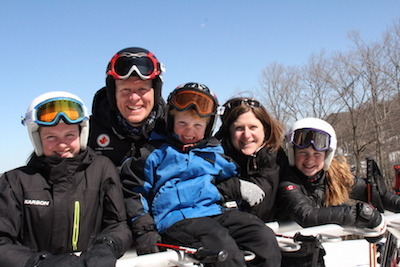 Caledon Ski Club has access to some of Canada’s best instructors and coaches. We offer expert training in both downhill skiing and snowboarding. Even the most seasoned family member can pick up a new skill or improve a technique that will add enjoyment to their day at the club. Professional instruction is tailored to all age groups with full racing programs available from youth to adult. Caledon has produced some great racers who have made their mark nationally and internationally. 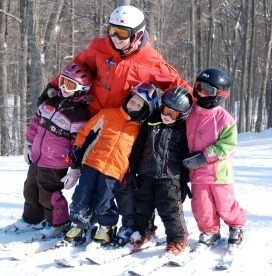 Caledon Ski Club is a Neighbourhood Club - like a home away from home, that’s very close to home. Caledon’s proximity to the GTA makes getting a day on the slopes and on the trails an easy prospect. Founded in 1958 Caledon Ski Club has 55 acres of skiable terrain, 25 slopes and six chair lifts, including a new quad chair lift. It also has an ice skating rink and eight kilometres of snowshoe trails. Snuggled on Mississauga Road, the Ski Club is blessed with some of the most favourable snow conditions in Ontario. And when Mother Nature isn’t feeling co-operative on the snow front, Caledon Ski Club has a state-of-the-art snowmaking system to take over from December to the end of March. Advanced grooming equipment also ensures Members of this private club enjoy complete hill coverage throughout winter.